Milagu Kuzhambu/Pepper Kulambu is a rice accompaniment prepared with pepper, curry leaves and garlic. Milagu kuzhambu occupies a special place in pathiya samayal. 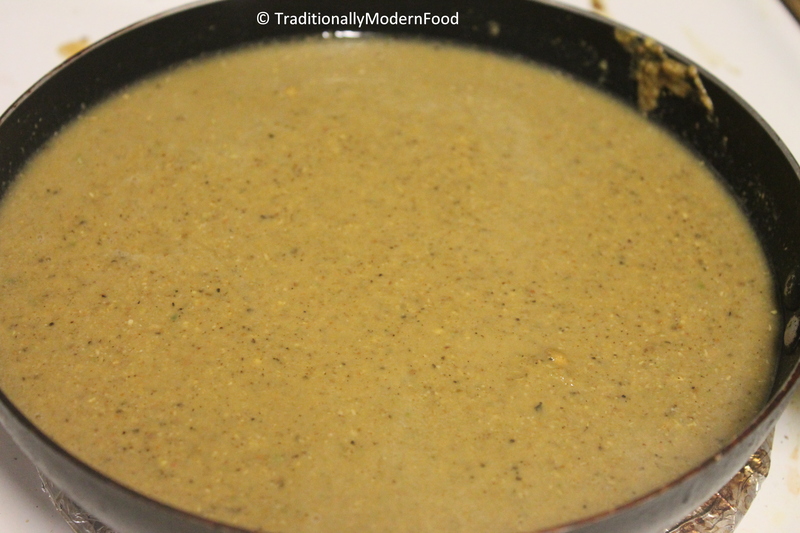 Pepper Tamarind Gravy is a home remedy for cold. It also helps for digestion. Specialty of our cooking is, “Food as a medicine”. There are certain ingredients which has lot of health benefits. Milagu(pepper) occupies one of the key role. Every since childhood days Milagu kuzhambu is one of my favorite dish. Whenever my Amma travels out of station she prepares a box of kulambu and refrigerate. It stays good for weeks. When I was in school, Amma was out of town, my sister felt sick. I called my mother to ask what medicine to give her, she said ask her to have milagu kuzhambu for lunch. I was wondering how a kara kuzhambu can be a cure for throat. I kept rice and warmed milagu kuzhambu; gave it to my sister. After having it she felt lot better in throat. I wouldn’t say it’s a cure for cold but pepper spicy is good and helps for fast recovery. 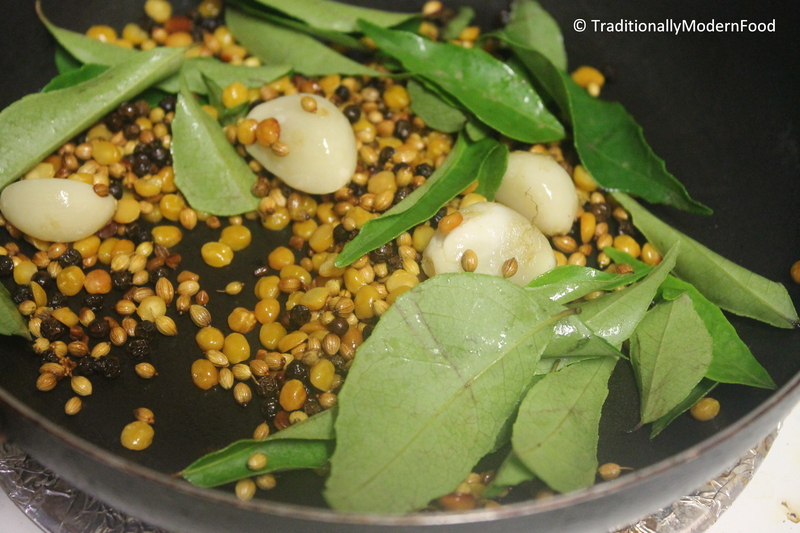 Milagu kuzhambu also occupies a special place in postpartum recipes. After delivery, it is good to include pepper spicy. This kuzhambu has lots of garlic which is also good to be included after having a baby. After vishvak’s delivery my Amma use to make this frequently. Milagu Kuzhambu, paruppu thogayal and sutta appalam – what a combination!!! (Since I have an electric stove, I microwave the appalam for 20 sec). Milagu Kuzhambu can be stored in the fridge for a week. its my all time favorite.. love it with curd rice..
Spicy and Tanginess Combined..my fav combo! I like stuff like that. Good to know:) The texture looks so thick, so u just drink the whole thing? A mouth watering recipe ,will try it soon. This is so interesting, and I can see how this is total comfort food. Looks like a nice rich product; is this more of a soup or more of a gravy or dip? You mentioned it is to accompany rice, so maybe it is like curry with rice? It sounds wonderful, I’ve never had this before. Very nutritious and sounds really delicious. great recipe! thanks for sharing! This sounds so exotic! I’ve never heard of most of the ingredients, but I trust that it’s delicious! I’m sharing for you on my “Indian Food” Pinterest board. Thanks! That looks so good vidya..have never had it…would it go well with some curd rice?